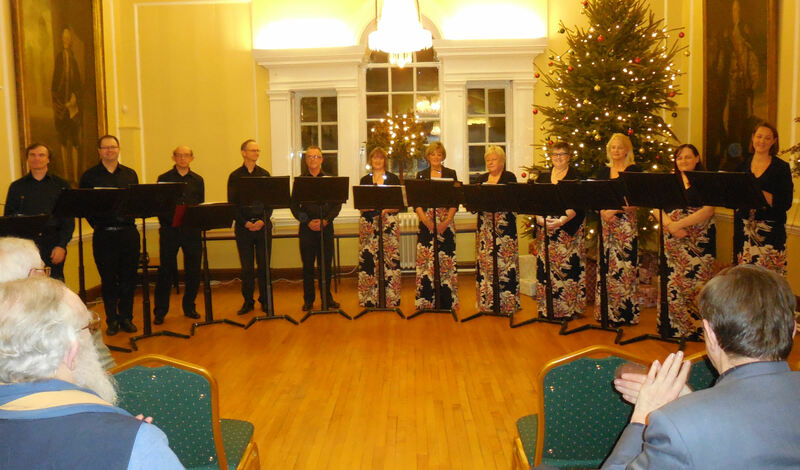 The Society held its Christmas Social in the Assembly Rooms of the Town Hall this year and we were lucky to be entertained by a stunning group, The Tapestry Singers. Tapestry is a mixed-voice, a-capella chamber choir of 15 singers based in Cambridgeshire. Formed in 1996, their repertoire offers period and contemporary sacred music. They perform mostly unaccompanied. Click on the picture below to see a copy of the program for the evening.